What would make 1 key buzz or ring? I have an old Kimball Consolette .The middle e makes an annoying buzz/ring sound.I can’t see anything mechanically different about it.Could the strings be unevenly stretched?The e flat sounds slightly dull also.What might cause this? The string is frayed, and makes a scratching, rattling sound. The piano has been used long and the hammer is padded down too much, and acts like wood hitting the string. Since I have relatively new pianos, I’m not sure what your hammer is covered with. The string is held loose, and rattles around when hit. There is something in the piano (such as a pencil or metronome) that fell in, and when the string is played, it causes the item to vibrate on the strings. You have put something on top of the piano, and the string’s frequency makes the item vibrate, even if it’s not touching the string. Also, reasons will differ if you have an upright or “normal” (lack of vocabulary) piano. If nothing helps, seek professional advice. icedtea covered all the possible issues I can think of, but I'd like to elaborate a bit. If the pitch of the buzz/ring is higher than your highest note and has a "metallic" quality to it, I think #2 is the most plausible. 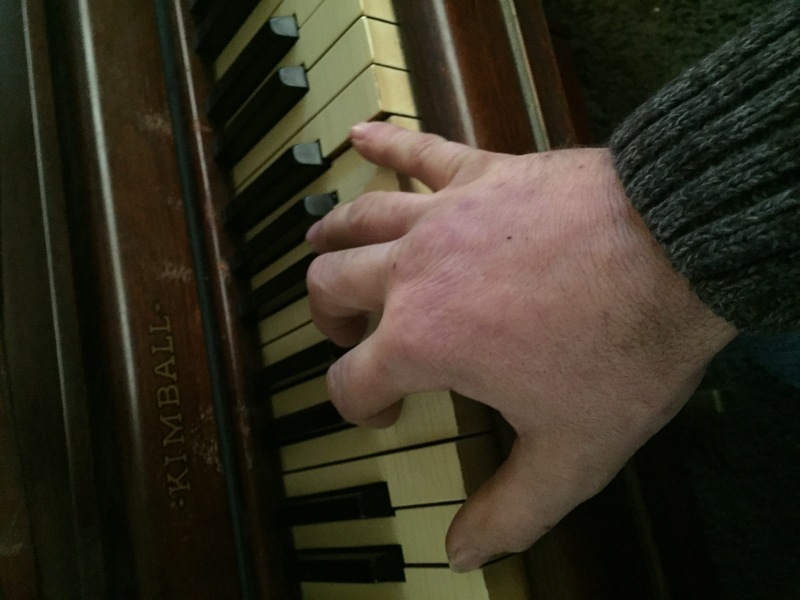 For months some of my piano keys have had a "ringing" sound as well - I spent a long time clearing away loose items outside the piano, checked for loose items inside the piano, muted individual strings, muted things I thought could be making resonance noise, but never found any explanation. Eventually I needed to get my piano tuned and asked the tuner what he thought it was; he described the ringing as a "zingggg" sound and explained that it happens when the felt hammers are compacted/hardened by wear and tear. To fix it the hammer needs to be voiced (by needling, for example). It sounds like your e flat could be at the opposite end of the spectrum, i.e. too mellow than the other keys. Not the answer you're looking for? Browse other questions tagged piano tuning maintenance or ask your own question. Should I replace unwound strings on my acoustic guitar as often as the wound ones? How does the Buzz Feiten tuning system work?